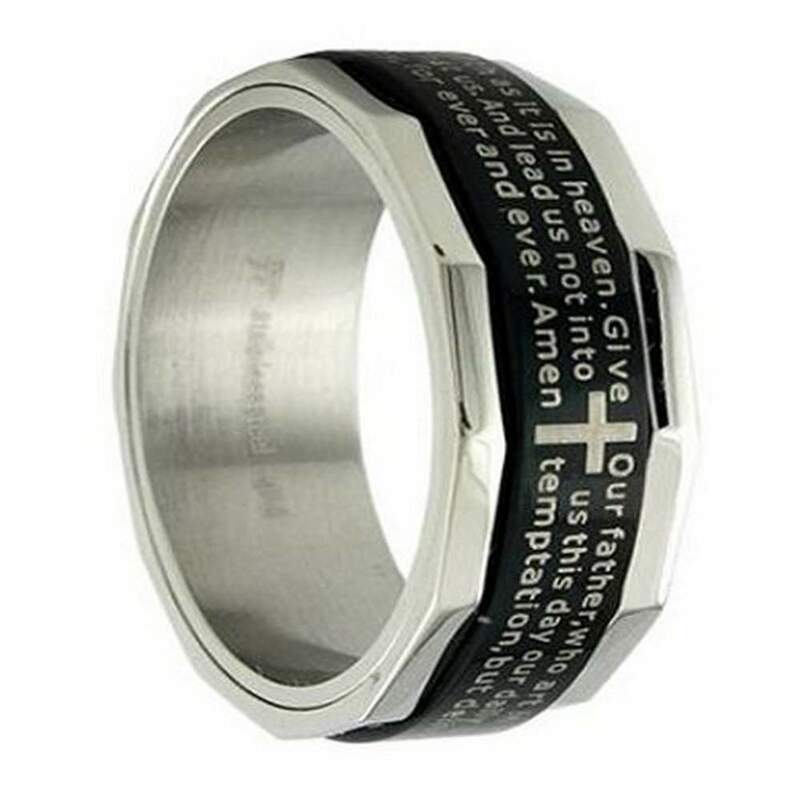 A beautiful, quality spinner ring, laser engraved with the beginning of the Lord's Prayer.The black stainless steel background really makes the words and stunning cross emblem shine.A perfect gift for a husband, boyfriend, family member, or anyone who could use some light in their life. 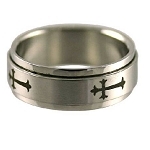 Love my Christian Spinner Ring. I have received many compliments from family, friends, and even strangers who have noticed it. Very high quality, I feel incomplete when it's not on my finger. Thank you so much for your expedient delivery. I bought this for my husband. It looks great and you can't beat the price. It was delivered in a timely manner. I was shocked at the value and at how nice it looked. Really liked this one, the spinner ring. Nice quality and fast shipping. Very pleased. 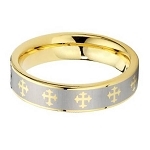 This is a beautiful ring. I purchased it for my grandson and he was very happy with it. My daughter in law saw it and said she wanted one also. I am very pleased with this purchase and have already ordered another style for my husband. It the best present to give.